Kangana Ranaut, who made her directorial debut with her latest release Manikarnika: The Queen of Jhansi, is now all set to direct her own life story. The biopic will be scripted by Baahubali writer KV Vijayendra. 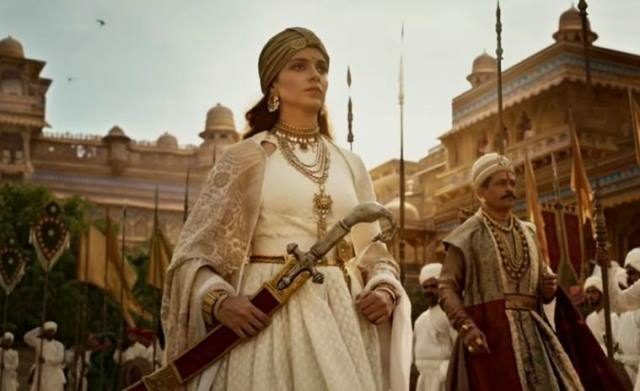 A report in Mumbai Mirror revealed that the Manikarnika star is set to start work on her own life story that she intends to put on the silver screen. “Yes, it is true, my own story is the subject of my next directorial. But it is not a propaganda film with characters who are starkly black and white, rather it is a sincere, heartfelt account of my journey so far with plenty of lighter moments. I’m emboldened by the love of the people around me, who have never judged me but accepted me for who I am,” said Ranaut. She also revealed that Vijayendra Prasad, whom she worked with for two years on Manikarnika, had started the script for the biopic. “Then, around 12 weeks ago, he urged me to let him write a film based on my life. I was nervous and wary initially, but then, given his stature and the fact that I trust him implicitly, I gave Vijayendra sir the go ahead to the project,” she told Mumbai Mirror. She also mentioned that although the movie would display her differences with people in the industry in the past no actual names would be mentioned in the movie, which would focus instead on the many ups and many downs she had faced in her journey to becoming a Bollywood star. Now we wonder whether her controversies with Hrithik Roshan, Aditya Pancholi, Karan Johar, Sonu Sood and Krish that have made headlines in the past and these personalities will be seen in the biopic or not. Pre-production will begin on the project at the end of this year after her upcoming releases Panga and Mental Hai Kya? hit the screens.